Published on 26 July 2012. I’ve mentioned Newcastle’s quayside kittiwakes before – they’re very controversial because although ornithologists argue that their presence is valuable, they make a heck of a mess around the Tyne Bridge, on which they nest. 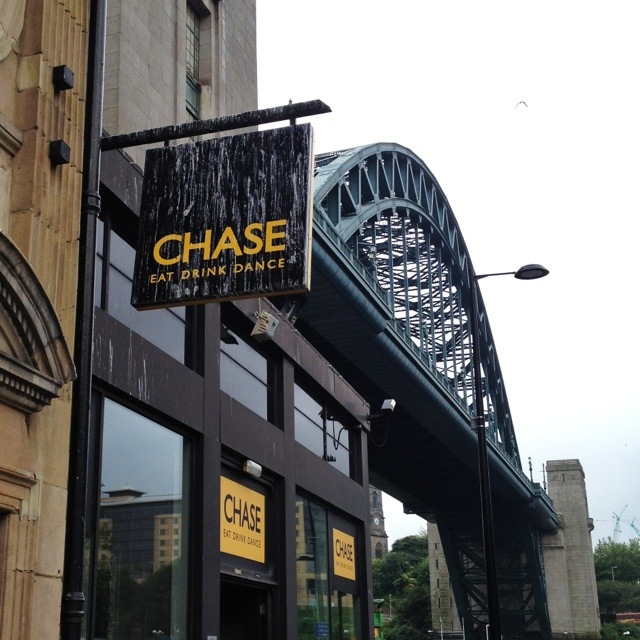 The hanging sign outside this quayside bar provides a graphic demonstration of the unpleasant mess they liberally spread. This 1,741st post was filed under: Photo-a-day 2012, Bridges, Gateshead, Newcastle-upon-Tyne.